Utah is definitely acclaimed for all its wonderful, unique stained glass collections. Stained glass has been used as an expressive art form throughout time for religious teachings, abstract artwork showcasing nature, and much more. 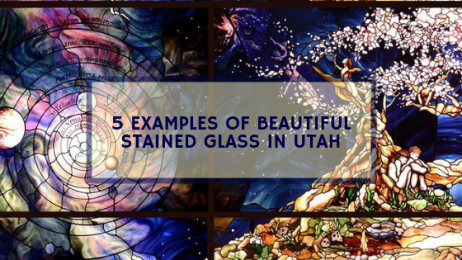 With the popularity of stained glass continuing throughout the state of Utah, there are many notable stained glass windows that showcase truly amazing art. The First United Methodist Church features significant stained glass windows that their congregation holds very dear. The main stained glass window featured in their sanctuary features the scene where the women who went to Jesus’ tomb and were told by an angel that Jesus was not there. The humble stories of the Bible are embraced at this church through their beautiful stained glass collection. The Hill Air Force Base Chapel has some amazing custom stained glass artwork featuring a memorial stained glass window dedicated to the 384th Bomb Group. The First Presbyterian Church has large stained glass features that are filled with gorgeous colors that are lit up by the sun. The Utah Valley University has amazing stained glass that incorporates nature and space. These unique stained glass features are celebrated for their diversity and differing imagery. Salt Lake City properties that are looking to jump on the stained glass trend can really take advantage of all the gorgeous stained glass they’re surrounded by. Taking inspiration from these noteworthy stained glass pieces can really help fuel the right creativity. Custom stained glass is perfect for churches, homes, and businesses, providing a wonderful investment and one-of-a-kind artform for your property. Salt Lake City Stained Glass would love to help you bring your ideas to fruition! For more information regarding custom stained glass for your Salt Lake City property, please contact us!